258 Marlborough is located on the south side of Marlborough, between Exeter and Fairfield, with 256 Marlborough to the east and 272 Marlborough to the west. 258 Marlborough was built in 1887-1888 by building contractor Silas Whiton Merrill, one of three contiguous houses (254-256-258 Marlborough) built for speculative sale. He is shown as the owner on the original building permit applications for all three houses, each dated April 14, 1887, and on the final building inspection reports for all three houses, dated May 9, 1888. Neither the applications nor the inspection reports indicate an architect. 258 Marlborough was built on a 25.5 foot wide lot. The eastern 1.5 foot strip was part of a 25 foot lot that Silas Merrill purchased on June 8, 1886, from George B. Upton. George Upton had purchased the lot on March 30, 1886, from Richard M. Hodges, who had purchased it from the Commonwealth of Massachusetts on February 9, 1884. The western 24 feet were purchased by Silas Merrill on June 15, 1886, from Nelson S. Bartlett. He had acquired it the same day from his mother, Mary Eliza (Meads) Bartlett, the widow of Matthew Bartlett. It was the eastern portion of a 50 foot lot that she had purchased on October 30, 1884, from the Commonwealth. Nelson Bartlett and his wife, Isabel Hazard (Bullock) Bartlett, built their home at 272 Marlborough on the western 26 feet of the lot. Click here for an index to the deeds for 258 Marlborough. On November 1, 1888, 258 Marlborough was purchased from Silas Merrill by Emily (Buffum) Ahlborn, wife of Dr. Henry Christian Ahlborn, a homeopathic physician. They made it their home and he also maintained his medical office there. They previously had lived (and he had maintained his office) at 94 Charles. Mary Ahlborn married in October of 1892 to Frederick J. Alley, a brewer with his family’s firm, the Eblana Brewery in Jamaica Plain, and later an insurance broker. After their marriage, they lived at 25 Greenough. Henry Ahlborn died in January of 1904. Emily Ahlborn continued to live at 258 Marlborough with Alice and Emil Ahlborn. Emil Ahlborn was portrait artist who received some notoriety because of his opposition to the United States entering World War I and his comments favorable to Germany prior to World War II. Emily Ahlborn died in September of 1932. Emil and Alice Ahlborn continued to live at 258 Marlborough, joined in about 1935 by their brother-in-law and sister, Frederick and Mary (Ahlborn) Alley. 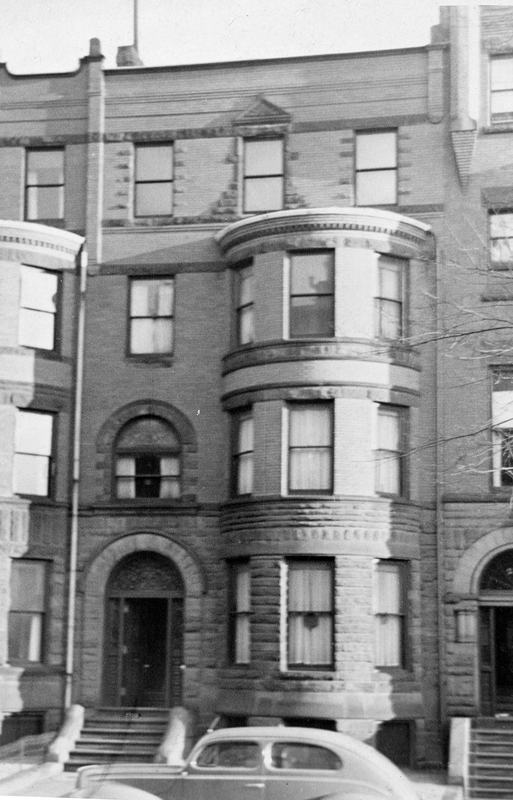 Frederick Alley died in September of 1936, and Mary Alley continued to live at 258 Marlborough with Emil and Alice Ahlborn until her death in June of 1950. Alice Ahlborn died in November of 1957. 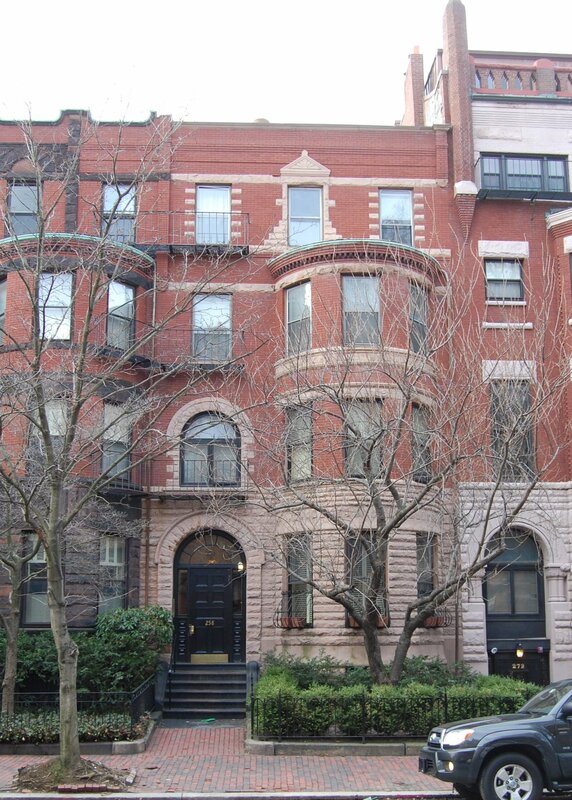 Emil Ahlborn continued to live at 258 Marlborough and maintain his studio there until about 1961, when he moved to the Harvard Club at 374 Commonwealth. The house was shown as vacant in the 1962 City Directory. On January 30, 1962, 258 Marlborough was purchased from Emil Ahlborn by the Anderson Realty Corporation. It also owned 272 Marlborough, next door. In April of 1962, it filed for (and subsequently received) permission to convert 258 Marlborough from a single-family dwelling into thirteen apartments, and also to combine it with 272 Marlborough into one building with 28 units. The treasurer of Anderson Realty was Joel Moffie; the architect for the remodeling was his father, Saul Moffie. On August 21, 1964, 258 Marlborough and 272 Marlborough were acquired from Anderson Realty by Mary C. Jope, and on March 23, 1971, they were acquired from her by Melvin L. Pollock. In 1977, Melvin Pollock declared bankruptcy and 258 Marlborough and 272 Marlborough were transferred to William F. Macauley, who was appointed trustee in bankruptcy by the court. On June 15, 1979, 258 Marlborough was purchased from William F. Macauley by 258 Marlborough Street Associates, Inc. On the same day, 272 Marlborough Street Associates, Inc., purchased 272 Marlborough. Robert S. Epstein was the president and David Epstein was the treasurer of both firms. 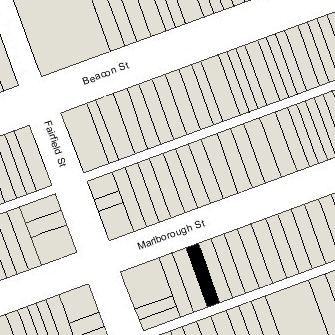 In August of 1979, the Epsteins filed for (and subsequently received) permission to reduce the number of units at 258 Marlborough from thirteen to nine, and to reduce the number of units at 272 Marlborough from fifteen to eleven. The buildings also were separated back into two properties, with an easement granted on November 21, 1979, permitting 258 Marlborough to use the rear exit of 272 Marlborough and the hallway leading to that exit for purposes of entering and exiting 258 Marlborough. 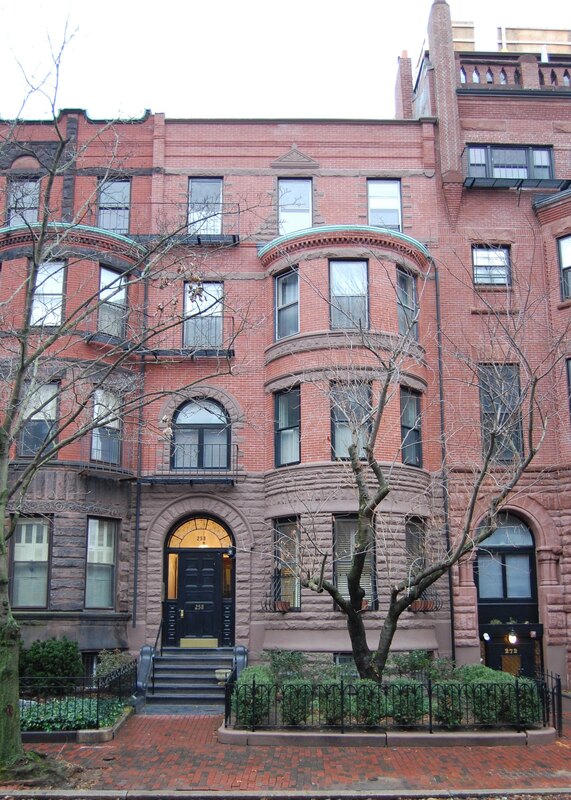 On November 21, 1979, 258 Marlborough Street Associates converted the property into nine condominium units, the 258 Marlborough Street Condominium.